Lauren Halsey was born and raised in Los Angeles, and her practice considers the relationship between architecture and community-building in urban centers and beyond. 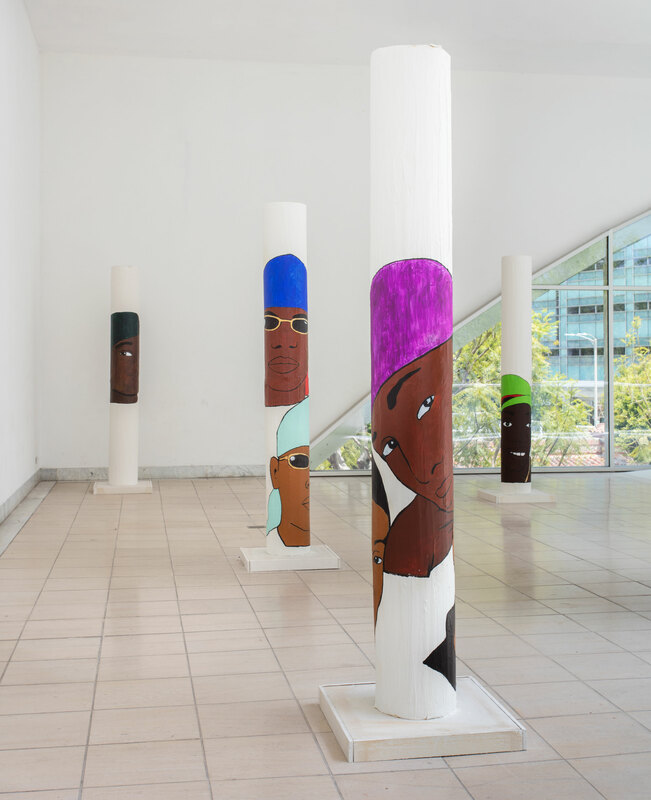 In her most ambitious project to date, Halsey has created a prototype for what she calls The Crenshaw District Hieroglyph Project, which, when completed, will be realized in a public space on Crenshaw Boulevard that formerly held an African bazaar, which she frequented as a child. 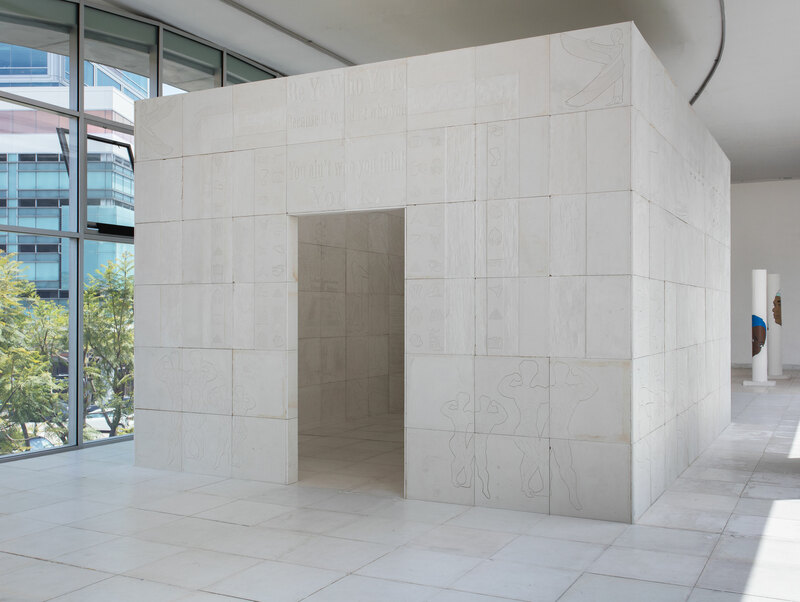 Halsey has created a functional space built of plywood and gypsum, a mineral that has been used in the construction of major structures for thousands of years, including in the pyramids of Ancient Egypt. 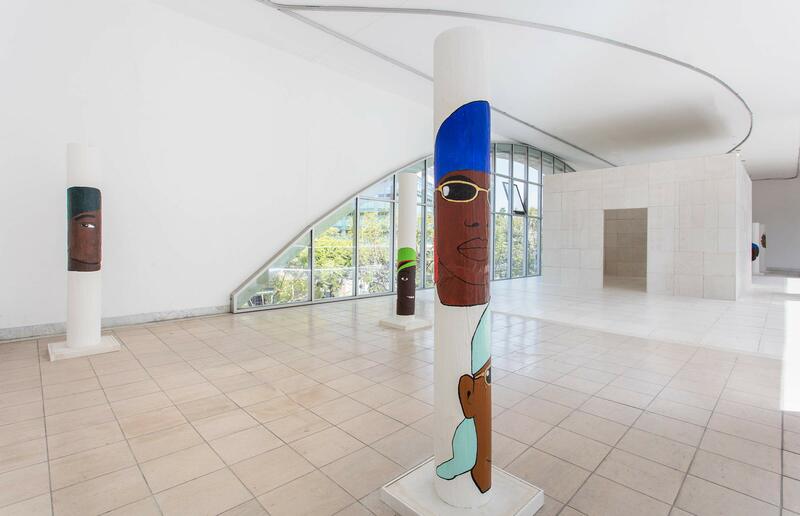 Sampling and reinterpreting ancient hieroglyphic writing, Halsey has individually inscribed every panel on the main structure with signifiers of her community and neighborhood of South Central. 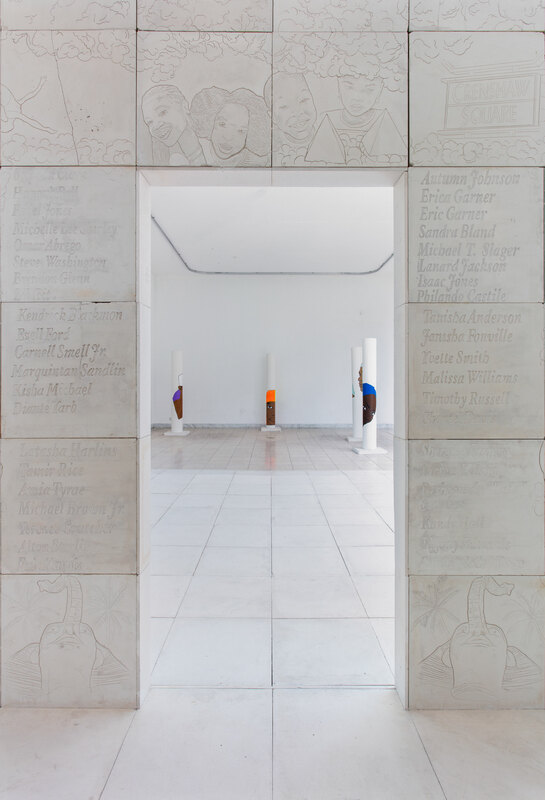 These inscriptions feature a range of images, including local storefront signage, portraits of family and friends, lowriders, tags, and local landmarks. Halsey’s sculpture stands as a dedication to and record of the community of South Central, which is currently undergoing a major transition, as mass development and new residents restructure the local economy and neighborhood. She holds a strong commitment to this area, as it informed her childhood and is an ongoing inspiration for her work. Halsey hopes the future, permanent structure will become a communal space in which locals can gather and hold public events as a testament to not only surviving but thriving in an ever-evolving city. Lauren Halsey (b. 1987, Los Angeles, California) works in Los Angeles. Halsey received her BFA from California Institute of the Arts, in 2012, and MFA from Yale University, in 2014. 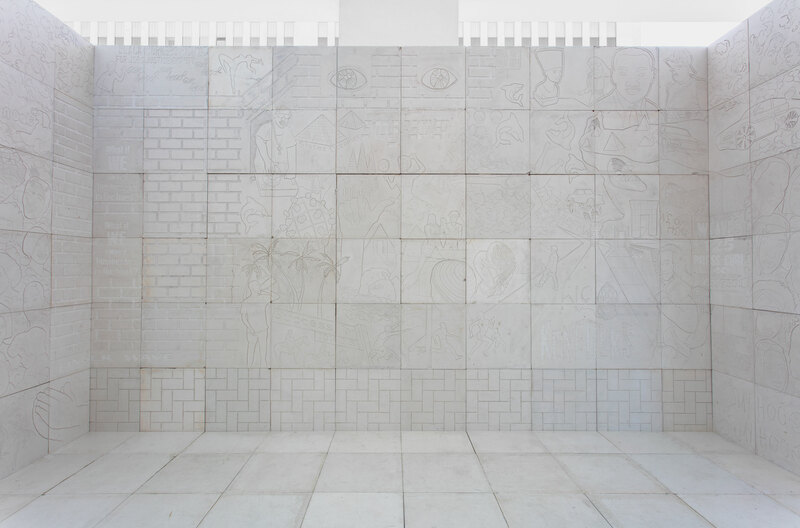 She has exhibited her work at the Museum of Contemporary Art, Los Angeles (2018); Armory Center for the Arts, Pasadena, California (2016); Museum of Modern Art, New York (2016); Recess, New York (2016); and Studio Museum in Harlem, New York (2015). She is the recipient of the Rema Hort Mann Foundation Emerging Artist Grant (2015), Alice Kimball English Travelling Fellowship (2013), and Beutner Family Award for Excellence in the Arts, California Institute of the Arts (2011). Halsey was an artist in residence at the Main Museum (2017), Studio Museum in Harlem (2014–15), and Skowhegan School of Painting and Sculpture (2014). She received the William H. Johnson Prize in 2017.